Regina city workers will be walking neighbourhood streets and parks, staring up at the trees again this summer as part of the city's Dutch elm disease monitoring program. It's that time of year again when Regina city workers walk neighbourhood streets and parks, staring up at the trees. 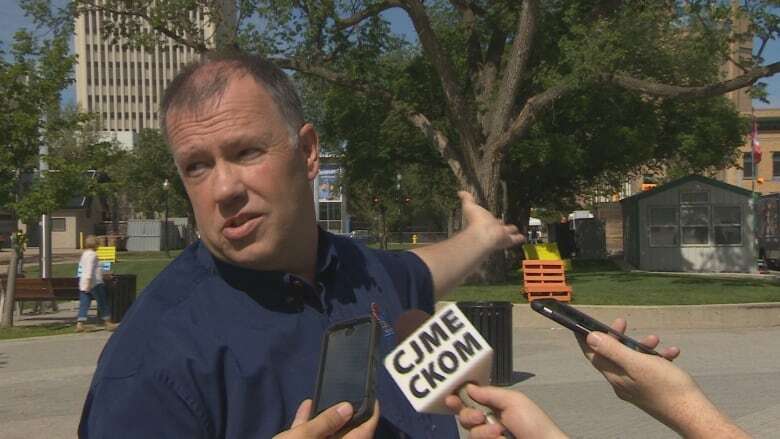 They're looking for signs of Dutch elm disease, which Regina's manager of forestry, pest control and horticulture says the city has under control. He wants it to stay that way. Russell Eirich explained the importance of Dutch elm disease monitoring by showing off Regina's oldest living tree, a 116-year-old American elm in Victoria Park. "This tree has survived the Regina tornado," he said. "It's seen all the championship teams for the Roughriders. It's seen it all for Regina." It's one of only two or three elms of equivalent size in the city and is worth approximately $75,000. "Dutch elm disease can take a tree like this out in a matter of weeks," he said. Regina was home to the first case of Dutch elm disease found in Saskatchewan, in 1981. The fungus reappeared in 1992, and the City of Regina has found an average of about four infected trees every year since. The city has lost a total of 94 trees to Dutch elm. Now, elms are starting to die off in Victoria Park. One of the first signs of infection is when part of a tree dies back all of a sudden. Leaves shrivel up but don't fall off. Eirich urges anyone who notices a potentially infected tree to report it to the city. 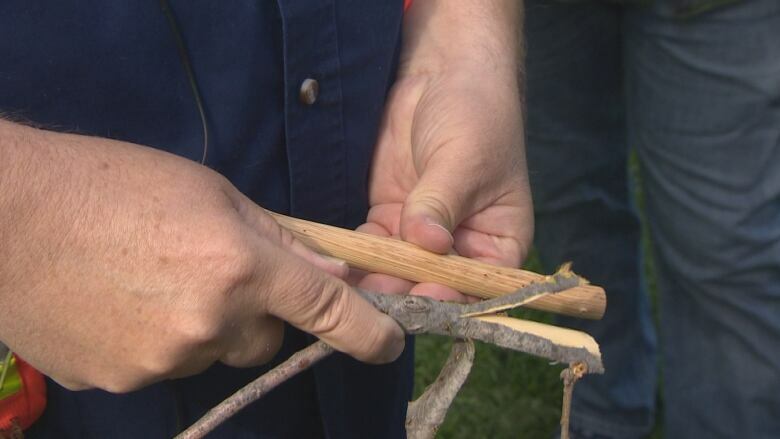 City workers will take a branch or a thumb-sized piece of tree and peel off the bark to look for a staining pattern indicative of Dutch elm disease. The sample will be sent for lab analysis and culture. If the tests are positive for Dutch elm, "that tree will be removed the next day," said Eirich. The inspections are starting this week and Eirich expects to find the year's first reported case of Dutch elm by early July.